Huffington Post – While President Obama has said that U.S. combat forces will begin leaving Afghanistan in July 2011 and be fully out by 2014, the pace of that withdrawal is still up in the air. 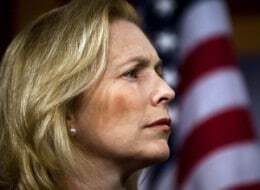 Sen. Kirsten Gillibrand (D-N.Y.) is now pressing the administration for a clear redeployment plan so that the American public receives a degree of certainty regarding how much longer the war will last. Her announcement comes on the same day that Gen. David Petraeus will be testifying before the Senate Armed Services Committee, of which Gillibrand is a member. Gillibrand is calling for passage of the Safe and Responsible Redeployment of United States Combat Forces from Afghanistan Act, which would put Congress’ backing behind the withdrawal of U.S. combat forces beginning on July 1. The bill, sponsored by Sen. Barbara Boxer (D-Calif.) and four other senators, would also require Obama to submit a plan to Congress by July 31 for the phased redeployment of U.S. combat forces, including a completion day. In a letter to Secretary of State Hillary Clinton and Defense Secretary Robert Gates, provided exclusively to The Huffington Post, Gillibrand also requests a Strategic Redeployment Agreement to establish a 2014 end date for combat operations, based on the model used for pull-out from Iraq.